Diana, not making a peep upon its release nor since, is one of those movies that simply exists where neither its content nor the way it was put together, where the techniques used to convey a well-known story, brought about no great insight, revelation or even valid emotional impact that only served to re-enforce the fact there was no reason for it to exist. It seems no matter how much director Oliver Hirschbiegel thought he might bring an interesting point of view to this film his attempts end up being completely ineffective in the fact that a majority of the people interested in the figure of Diana, Princess of Whales likely knew everything this movie would be bringing to the table (or had already read it in Kate Snell's book on which the screenplay was based) and thus found no reason to watch famous people play dress-up and re-hash the events of their beloved Diana while no doubt dramatizing it as much as possible. There was no need for a film though not because we all know how it turns out, but because Diana was such a figure that the public felt like they knew so well, personally even, that it is almost a betrayal to them to see this actress portray a part of the peoples princess they might not have seen before. This is no fault of the writers, filmmakers or actors and obviously is an element they have no control over, but while it may have felt like a valiant effort, a story worth bringing to a feature film the end result is something that points to every reason why it wasn't a good idea. All of that being said, there is indeed an effort put forth here and despite the bad press it received before it was given a chance there is a Naomi Watts performance here that, while she no doubt had much higher hopes for it, should be recognized as what it is: convincing on what were impossible levels. The same stigma that applied to the movie applies to the person picked to play Diana and the performance they ultimately gave. What Watts is able to do is somehow transcend the barrage of images we've all seen and do what the movie as a whole was unable to accomplish and that is make us believe in this material. No, I didn't necessarily enjoy the film or find much of it interesting, but it has its moments and it had enough to show there is a solid biography to be made about Diana, but that this just isn't it. Naomi Watts portrays Diana, the Princess of Wales in this bio-pic. Beginning quietly in the early morning hours of that fateful day Diana would come face to face with death we are walked through the final moments of her life with no preliminary information as to what state she is in or where she is going. In what initially appear to be nothing more than stylistic choices in the opening tracking shot we are brought around to a much more substantial weight by the end of the film where the sequence is repeated, though it would be interesting to analyze both and note the differences so as to catch the different implications it means to make. The problem with something like this, where these moments feel studied over and thought out is that the middle is filled with plodding melodrama that makes the well-regarded Princess seem like a woman not desperate to serve the world or fighting to solve its problems, but a woman desperate to be loved in the most sincere of fashions. Obviously, we all understand why a person of her position would want something as complicated as love yet as simple as a cozy relationship, but the effort and the desperate measures she descends too are conflicted by the fact she has every possibility at her fingertips. She is in the flux of both her relationship with Prince Charles and finding someone to renew her faith in that little emotion she puts so much value in while also attempting to define herself in the public eye as more than a looker who was once destined to be queen, but a human being who might use the advantages she's been offered to do some real good with. This bringing up another issue with viewing the film in that how much of what we're seeing is conveyed successfully by the film and how much is simply taken as acceptable because we already knew the facts of Diana's public life. I find myself not being able to differentiate the two when reflecting on the film. Yes, of course I would like to think the small touches of personal discussion with Geraldine James' Oonagh Shanley-Toffolo, the former Irish nun who became a close friend of confidant of the late Princess' during this troubling time in her life; these discussions lend to a woman who was constantly searching for love and approval, but seemed to be searching in all the wrong places. The issue is how well these characteristics are brought to life and unfortunately, there isn't much fleshing out as the film seems too concerned with living up to the facade than telling that promised untold story. Still, all of this aside the inherent problem with the film is that the relationship aspect, which it wants to focus on and peel back the layers of, is not worthy of this type of story. It may have felt like a romance worthy of the big screen treatment simply due to who one pf the parties involved was, but the actual nature of the relationship was more in line with the lifestyle of the other counterpart, Hasnat Khan (Naveen Andrews). Hasnat was clearly a very private person and someone who had no desire of living in the public eye or even had an affinity for being known as the man who charmed a princess and in that regard his persona overshadows the tone of the relationship and the secrecy of it that would stand to make it intriguing, yes, but not necessarily all that interesting. It is nice to think of such a grand public figure like Diana in her more intimate moments, having a normal relationship and developing feelings for a man that matches her ideals and fulfills her large capacity for love, but those are the moments not unlike each of us should experience while falling in love and so it ends up only being the nature of who this person was in terms of history that make what is otherwise a standard story all the more interesting. It doesn't, and it falls flat because it doesn't lend itself well to the format of drama because to create such drama in this story you must result to facets the public already knows became a factor: themselves. It doesn't help that Andrews performance is stiff and that he portrays the intelligent heart surgeon without a charming bone in his body that makes us wonder why Diana was ever taken with him in the first place. Of course, this could all be a result of the writing for when you're given lines such as, "you don't perform the operations, it performs you," there is only so much you can do and this coming from a guy who made countless conspiracy theories about a mysterious island seem completely legit. While it is hard to watch as Andrews floats back and forth between his feelings for Diana and his feelings toward the attention their public relationship would garner it is more frustrating to watch the potential chemistry between two actors of this level of talent squandered on an opportunity to create a love story because of the stipulations put upon them by the perception of reality the film takes sides with. It is not our business to know the ins and outs of Khan's relationship with Diana and even if it was, I doubt they would be groundbreaking but rather ordinary, an idea the film seems keen not to accept. Hasnat Khan (Naveen Andrews), a heart surgeon, begins an unorthodox relationship with Diana. An idea that the film brings up, only to disregard later in favor of a public perception stance is that of a broken heart and how the habits of our human condition shape what our definition of that term means and the symbolism of how it could apply to the way Khan approaches love and how Diana viewed this emotion she so desperately longed for. It's always seemed that Diana had a slowly breaking heart that only became more and more damaged over time. 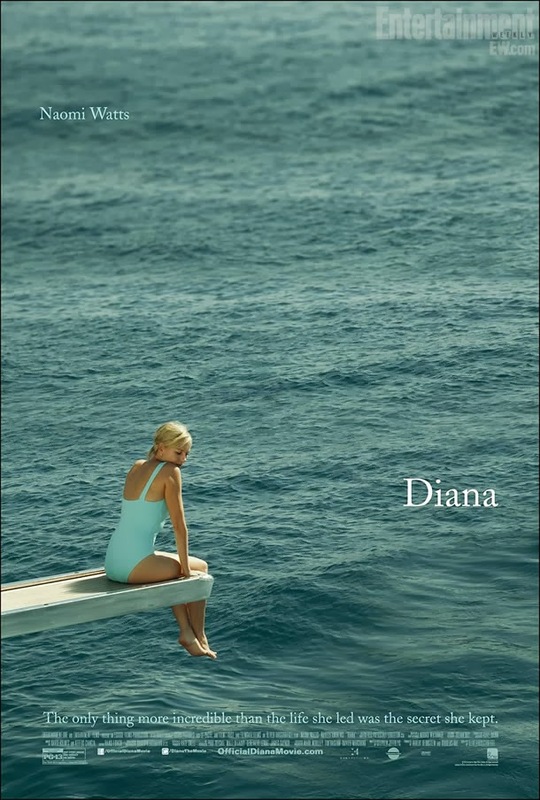 It is with this type of slow-burning sympathy that Watts uses to paint a more full picture of the individual Diana that allows the film to sustain mild interest throughout. Watts is more than an able actress, adept to the world of dramatic performances and likely was intent to research the role and delve deep into the depths of what made Diana tick, what made her remain so strong and able during what would come to be revealed as a stressful bit of life leading up to her untimely death. That she is able to make us buy into the reality of her interpretation shows it is not impossible to create an interesting take on the people's Princess and how her life became one so many others became invested in and seemingly lived vicariously through, but Diana, despite her likely feelings of obligation towards those that looked up to her, had to remember that she needed to live a life that made her happy first and foremost and not one that symbolized the dream-like nature of those that adored her hoped it actually was. The difference between real-life and the persona concocted for a public figure is so staggeringly different we forget they too operate day in and day out just as we do, needing to fill the small moments where they aren't the center of attention and cook meals for friends or comfort them in a time of need. These people are not dismissed from the natural duties of humanity and while Diana is able to give us slight glimpses into these types of moments, again mostly thanks to that sincere performance from Watts, it for the most part comes up still feeling like a cliff notes version of the final years of Diana's life where we are served a half-baked bundle of news stories acted out for the camera with only a rare amount of thought and focus put into the final product that comes to mean little more than a time in life most would like to move on from, but this film can't help but keep bringing up.